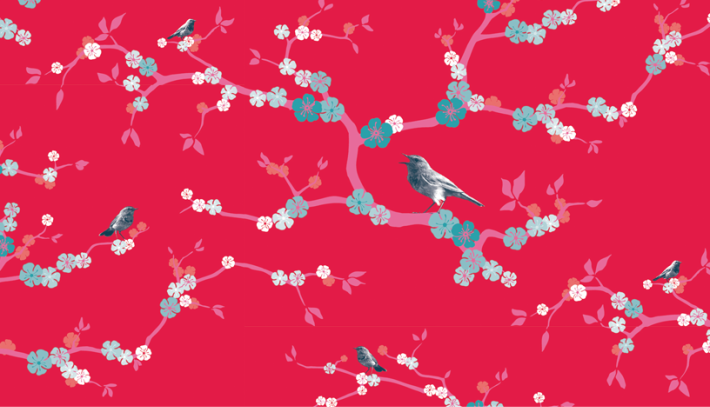 I was commissioned to do a wallpaper design for this occasion, and the most obvious theme was of course H.C. Andersen’s fairy tales. 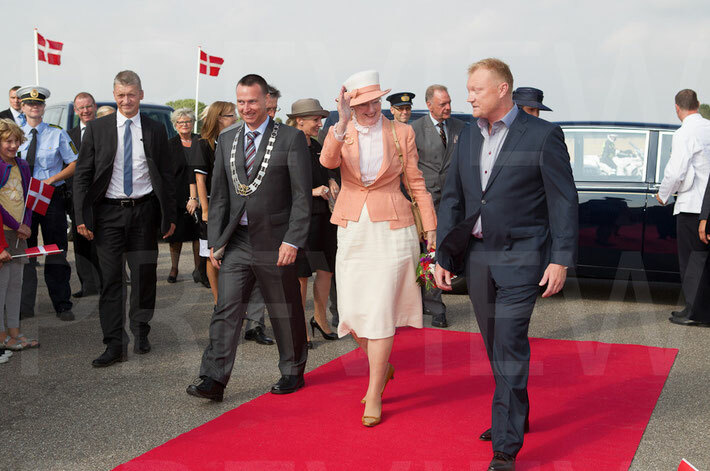 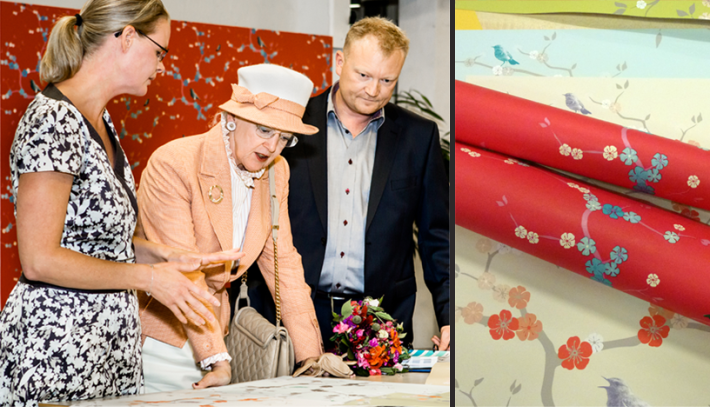 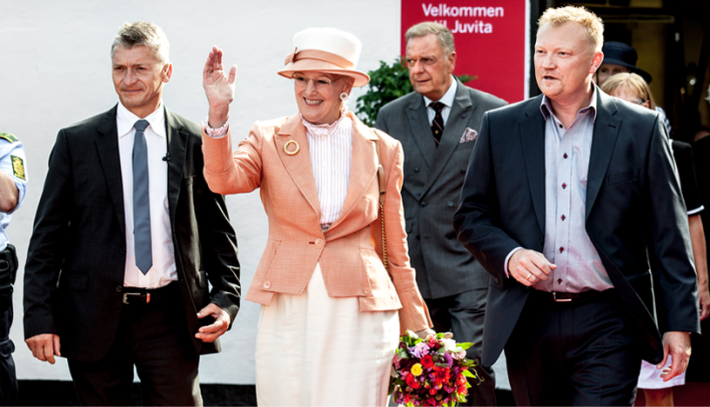 The final design was inspired by the tale: “The Emperor and the Nightingale"
HM the Queen Margrethe II of Denmark arrives at Juvita Home Decoration. 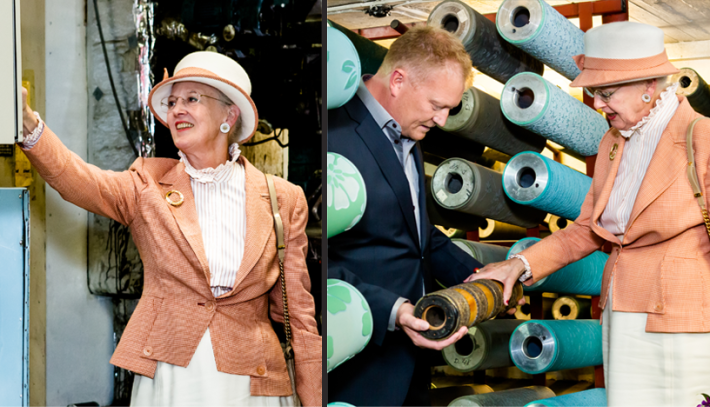 and is been presented to Juvita's long history of wallpaper printing by director Christian Boye. 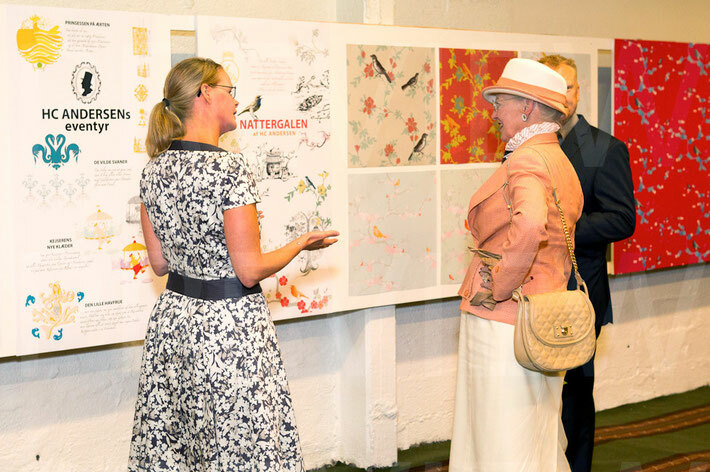 and to explain for Her Majesty the process of wallpaper designing. 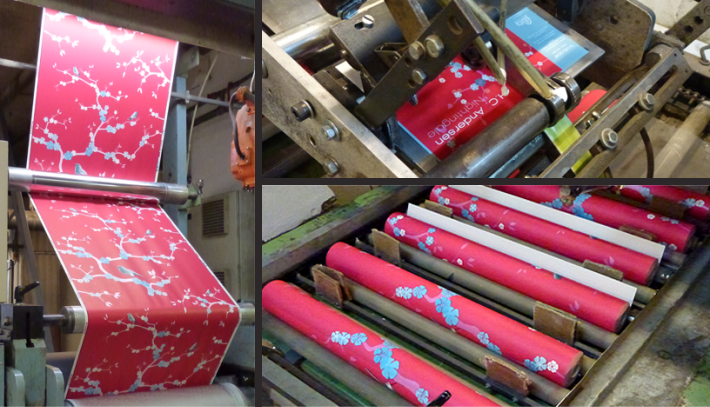 the final wallpaper is been printed and processed.